Pure extracts of Brahmi and Neelibringadi work to strengthen hair roots and prevent hair fall. Seaweed helps to restore and renew moisture balance and adds shine to hair. Free of Parabens, SLS, Harmful chemicals and colours. Massage gently into hair, leave for 30 minutes before washing off. Licorice, Bhringaraj, Amla, Grape Fruit, Jojoba oil, Tulsi, Brahmi, Guava, Mulberry, Aloe Vera, Nagarmotha, White Turmeric, Gotu Kola. This hair oil comes in a handy and sturdy plastic bottle with a screw open lid, inside the screw open lid there is a tight pressed white lid which helps to prevent oil leakage. It is absolutely travel friendly. The colour of the hair oil is dark green and it smells purely herbal. The smell doesn't disturb the nose for long time, I mean it will goes away after some time. The texture of the hair oil is runny and light weight, non greasy. Now after using this oil regularly my hair strands became thick where they were very thin before. The another interesting fact of this hair oil is it is completely non greasy and light weight. I never felt oily or clumsy with this hair oil. 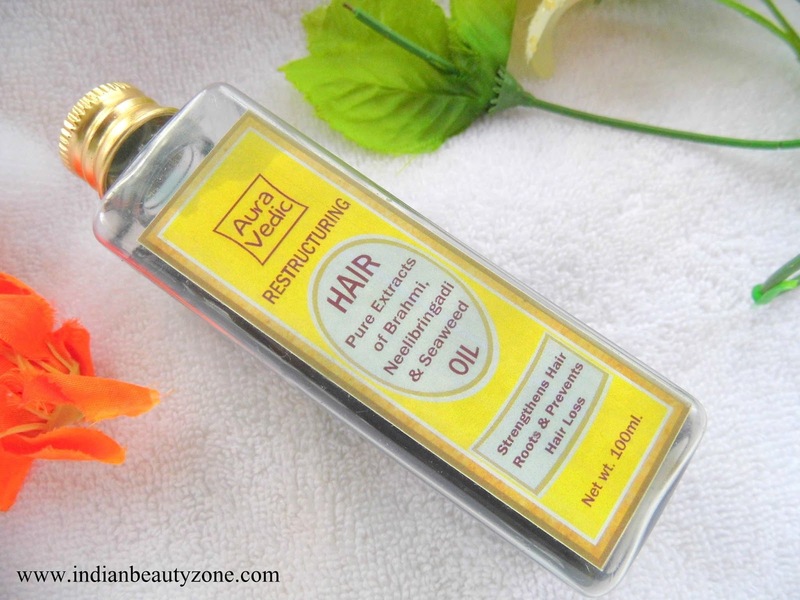 My hair fall got controlled well and I am really impressed with this Auravedic Restructuring Hair Oil. A very small amount of oil is enough for the entire scalp and hair, you may need little extra if you have long hair. I have still half bottle of oil with me. Totally I like the results and the oil. It is light weight and non greasy. Goodness of Amla and Brahmi. I have no dislikes and I am just curious to know the full ingredients list. 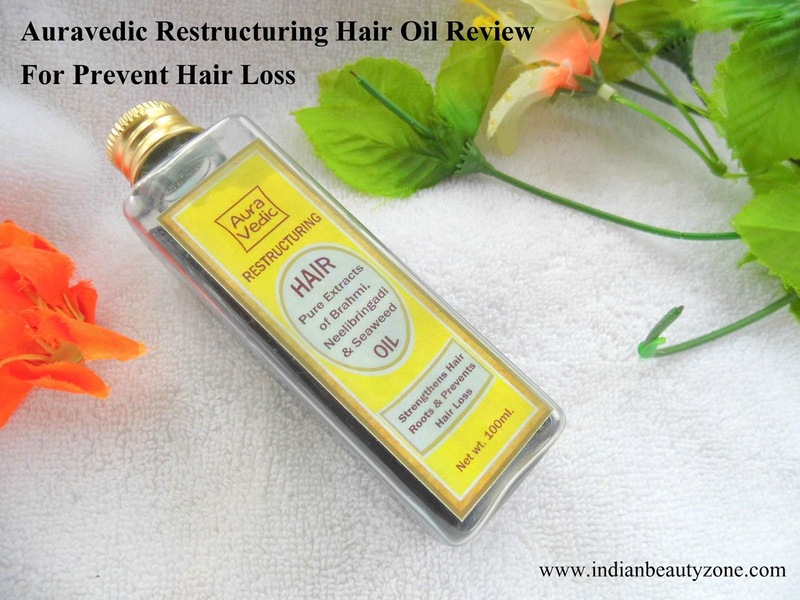 Auravedic Restructuring Hair Oil For Prevent Hair Loss is a good hair for those really wants to treat their hair naturally. It controls hair loss and strengthen the hair by regular use.